Proverbs accomplishes something no other biblical book does: it compiles numerous short instructions for living an effective life on earth. 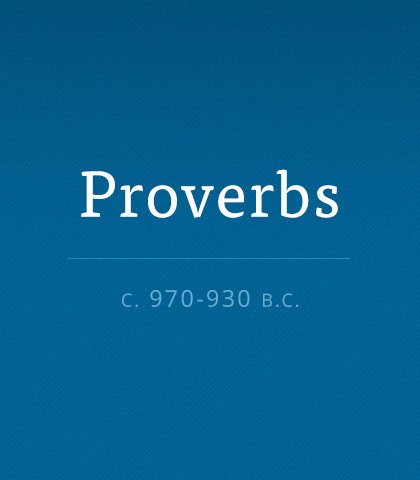 Read more about the book of Proverbs. Here's a comical but real reflection on the evolving nature of marriage. The challenge in our fast-paced lives is to take the time to fan the flame that once burned so brightly. There’s nothing like a hot blast of reality to blow us off the end of a limb of theory. We think we have it all put together and then we discover how much we still have to learn. People believe there’s an attachment between a good God and a prosperous income. And they pay a lot of money to hear the prosperity gospel preached. But it’s a false gospel, and it’s a trap. God and greed are poles apart.